During a recent interview with Rick Ross circulating on the internet, an interviewer inquired about an alleged rift between the former Slip-n-Slide label mates. Despite having seen Ross’s heated response to the question, Trick maintains that there is no bad blood between the frequent collaborators, who spoke as recently as this week. The topic of Rick Ross’s past career has drawn responses from everyone from rappers Fabolous, Maino and The Clipse, to the real “Freeway” Ricky Ross, with many wondering what effect his denial would have on his career. 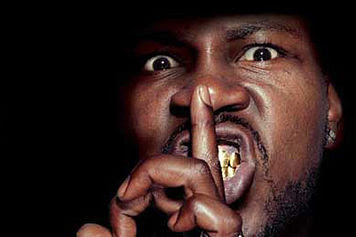 While Trick would not directly confirm any knowledge of the Def Jam rapper’s employment as a law enforcement officer, he did address the controversy. Previous PostJewelry Man & The Rick Ross Controversy– Get Ya Clown OnNext PostObama says,"Luda… WTF?"